The Tampere City Council approved plans to build a 330-million-euro light rail public transport system to serve their city on Monday. 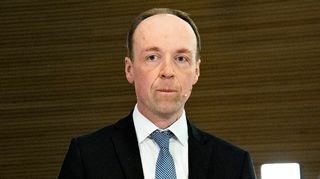 Project Manager Ville-Mikael Tuominen estimates that the first front-end hoes will begin their work along the motorway to the Hervanta suburb already in February or March of next year. Tampere city councillors voted 41-25 with one abstention on Monday to approve a light rail infrastructure project for the southern Finnish city. Project head Ville-Mikael Tuominen predicts that the positive decision will soon be made apparent in more job advertisements in the region. “Service providers, construction workers and designers will be needed to make this project a reality,” he said on Tuesday. The railway alliance implementation plan outlines that work will begin already in the first months of the coming year at the main depot and eight other locations. Tuominen is confident that things will begin on schedule. Machines laying the foundations and building the rail lines will become a familiar sight in Tampere next year, particularly along the streets of Hermiankatu, Insinöörinkatu, Sammonkatu and Itsenäisyydenkatu, as well as alongside the Hervanta motorway. “The goal is to start building the line from the Hervanta depot to Itsenäisyydenkatu first. Depending on the location, we will be excavating land, felling trees, fencing off work areas and setting up site offices, etc,” says Tuominen, who believes that most of the construction will take place between 2017 and 2020. Next year will also be the time to decide which provider will take over administration and operation of the tram service. “Deciding on the tram operator will be a critical choice: who will come to operate it and under what kind of agreement,” says Tuominen. He hopes to keep as many streets open to traffic as possible during the building phase. If everything goes according to plan, Tampere’s tram network will be ready for use in 2021. Unlike the southwest coastal city of Turku, Tampere has not had a previously existing tram system. The Turku network was broken up in 1972 as the rolling stock reached the end of its lifespan. This led to a drop in public transport passengers in the city, despite clear population growth. 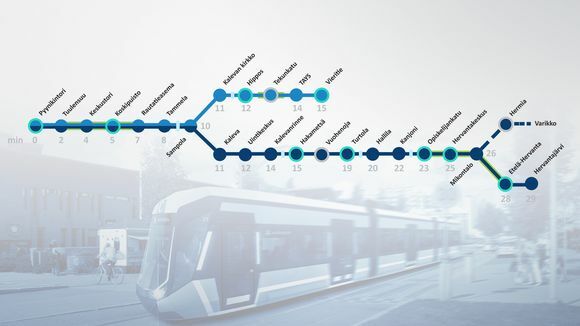 Turku is now also considering the establishment of a new light rail network. The Tampere metropolitan area has a population of over 350,000 people, making it the most populous Finnish city outside the greater Helsinki area. The largest inland city in the Nordics, it serves as a major economic and cultural hub to the inner regions of the country.